10 months and 10 days ago Mahorka was proud to unleash upon the world the wonderful Another Fantastic Planet by Infragreen. In the span of this time the tracks from the EP took a life of their own via the minds and hands of several producers, who twisted, bent, broke, realigned and stripped down to their bare bones the tracks to take you on a trip to a new stellar system of fantastic planets. 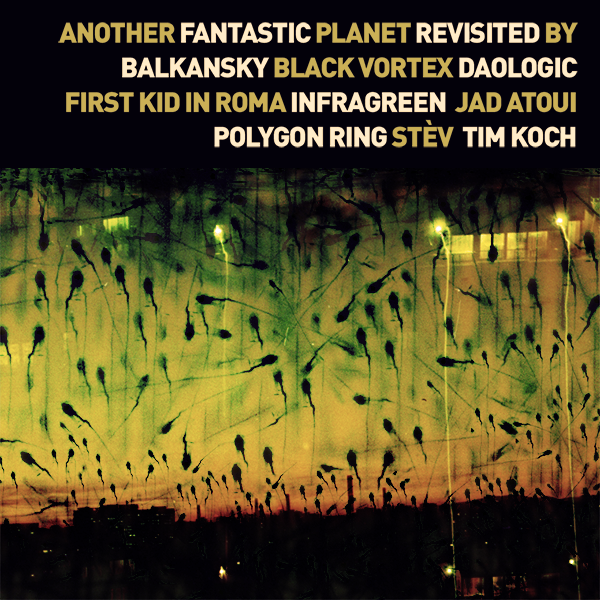 Balkansky's crunchy beats sound like the hatching of thousands of alien eggs, and Tim Koch leads you on a mission to a place where 8½-bit digital beings have taken over. Stèv whisks us back to a calmer space where everything is in its right place, Black Vortex takes on a safe and well planned ride to witness the event horizon where all that was there is still there, yet only a barely recognizeable image of what it used to be, and then Infragreen himself reveals the inner world of those who inhabit the system. 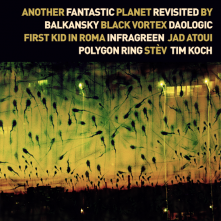 Daologic enter the void and even lost in space they knot ahead with the steady pace of a well trained crew, and following in their ion trails there is Jad Atoui's asteriod belt with its fragments firmly held in structure by the gravity that drives it all. First Kid in Roma offers a sneak peek into the lives of beings who are comfortable in a place where time flows in many layers, and Jad Atoui offers a full view of this system's somewhat murky star. In the end, Polygon Ring wraps up the trip with an epic tale about the battles and peaceful times that this star has witnessed.